UL Recognized. UL/CUL Listed models are available at added cost. *Note: This unit requires a capacitor for operation. Capacitors are sold separately and shipped loose for field installation by customer. 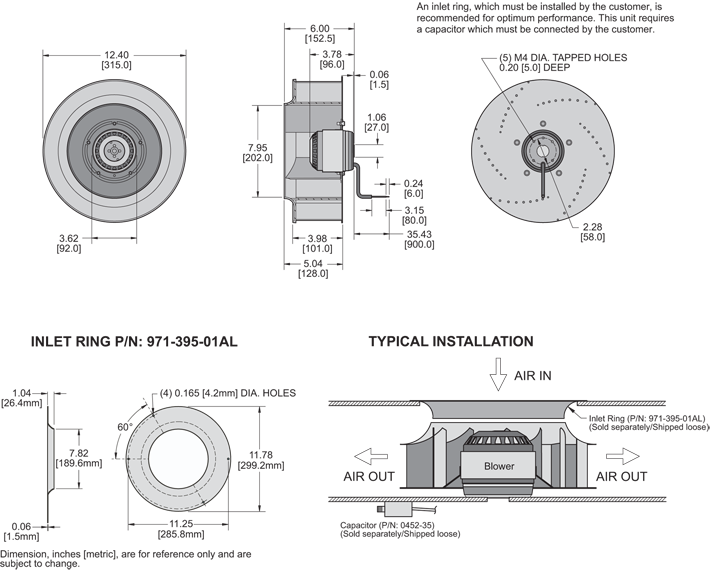 An Inlet Ring is recommended for optimum performance. 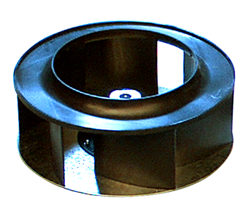 These are sold separately, to be installed by the customer. 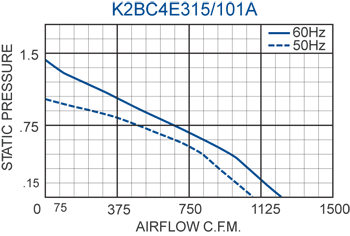 Airflow vs. static pressure curves are shown for 60 Hz (solid line) and 50 Hz (broken line) inputs. Static pressure is in inches of water.